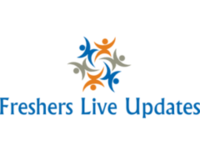 Any Graduate Fresher’s required for the position Telecalling/Telemarketing Executive in Reliance Jio at Delhi, Gurgaon. Interested and eligible candidates who have strong skill sets on desired profile can apply online for the requirement with the link given below. Find the job description, eligibility criteria, exact venue and interview details for more information. Reliance Jio Hiring Any Graduate freshers 2016 for Telecalling/Telemarketing Executive at Delhi, Gurgaon. Candidates who have completed Any Graduate can apply for this job from Reliance Jio. Candidates can Get the Telecalling/Telemarketing Executive Post details such as Post name, Number of vacancy, Qualification, Job Description, Candidate Profile, Company Profile and etc., from the table given below. Skills: – Calling, customer service, voice, support. Total 18 Branches in Delhi/NCR. Reliance Jio is Home to the worlds second largest population of 1.2 billion, India is a young nation with 63% of its population under the age of 35 years. It has a fast growing digital audience with 800 million mobile connections and over 200 million internet users. Reliance thoroughly believes in India’s potential to lead the world with its capabilities in innovation.